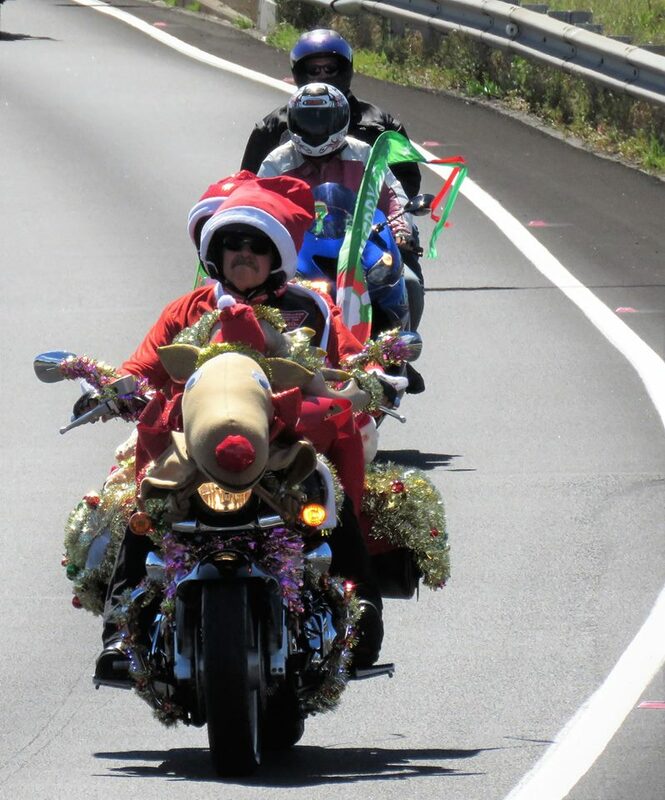 Was wondering if there are any Krew heading in for the Bikers for Kids TOYRUN this year after Gaz's Kristmas Kampout. 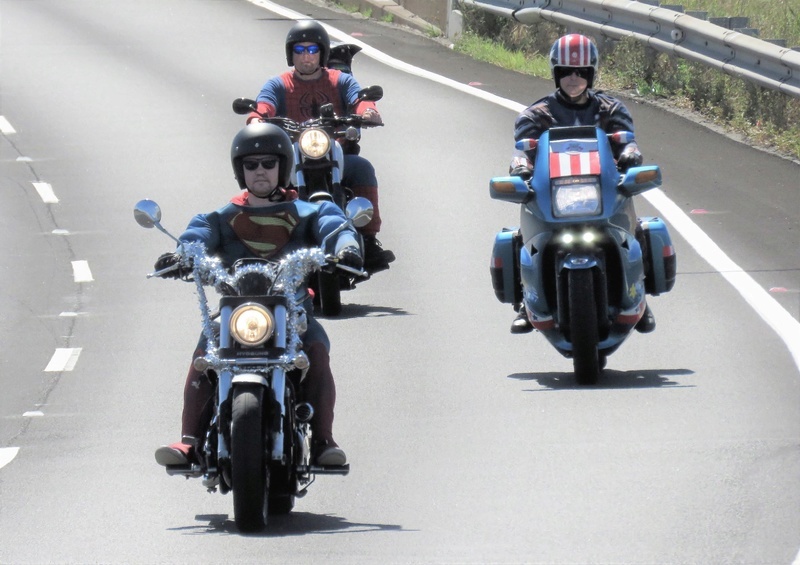 I managed to pull in a favour at work , to help assist an avid photographer get some action shots during the ride from Stockton to Newcastle . 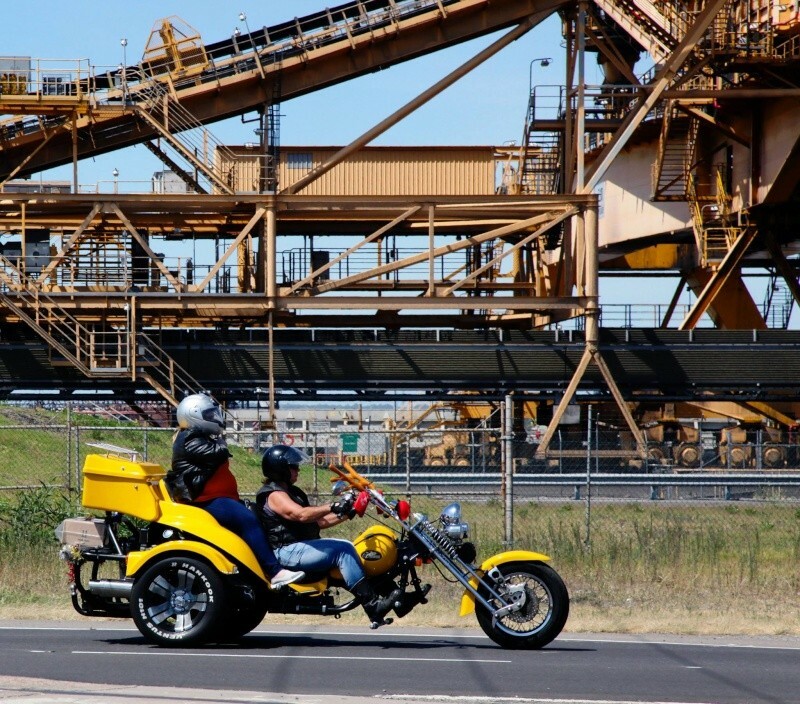 The start point has been moved to the Ballast Ground on the western side of Stockton, which should help greatly with riders getting out of Stockton. 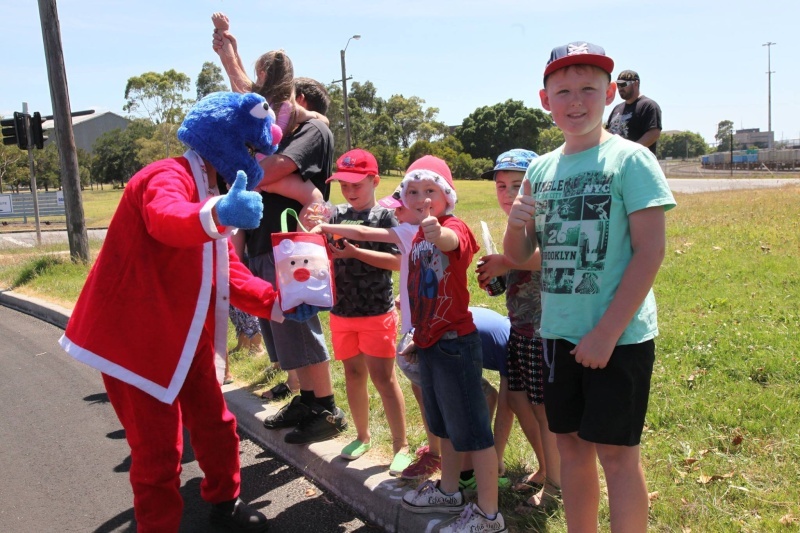 A suggested meeting point would be at the HPCA BBQ van at the Ballast Ground. 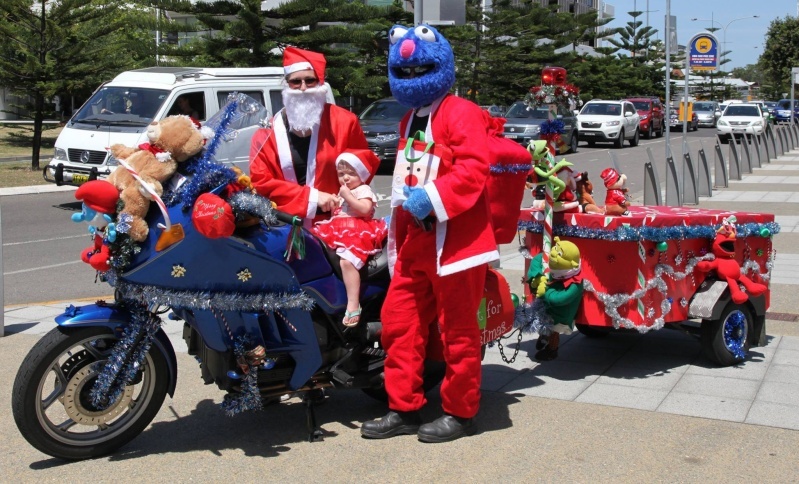 I've themed the rig as the " Kandy Kane Kart " helping to distribute treats to the kids along the way. 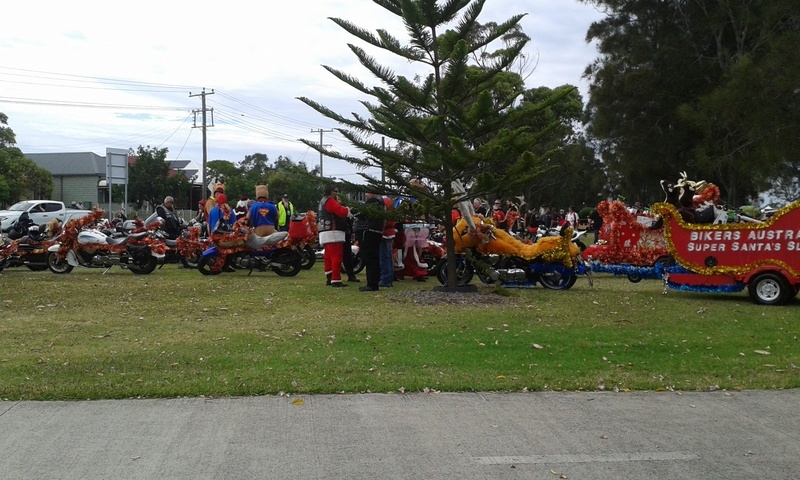 This is to be done whilst parked , no throwing lollies . 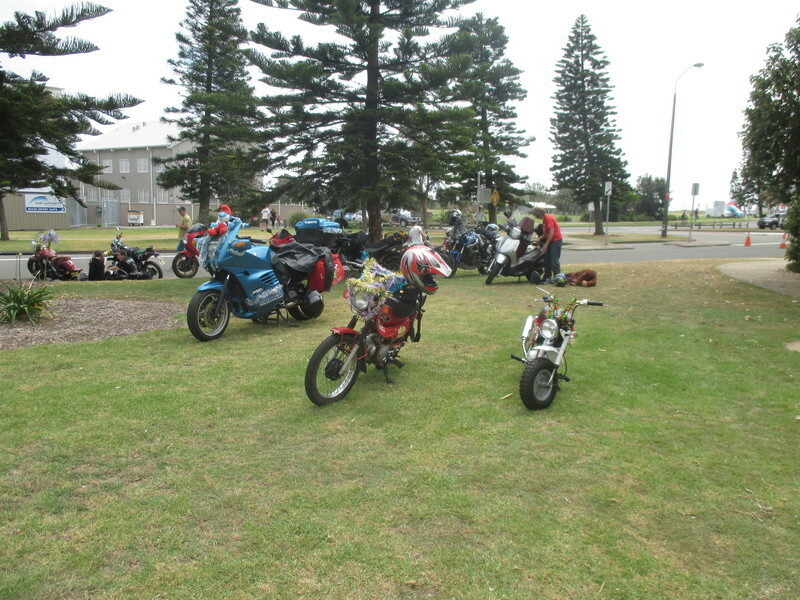 I hope to pull up on the footpath at the entrance to the Museum , if not there , then opposite Harrys Cafe de Wheels . 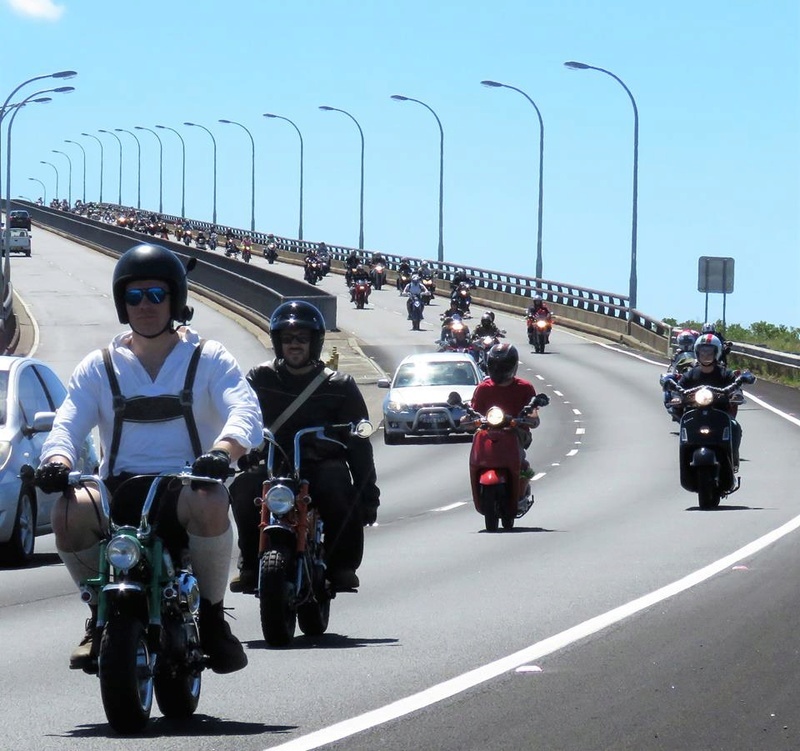 This will give the photographer a chance to capture the interaction between riders and public onlookers. finally finished getting the " Kandy Kane Kart " ready , no sneek peeks at this stage folks , sorry. 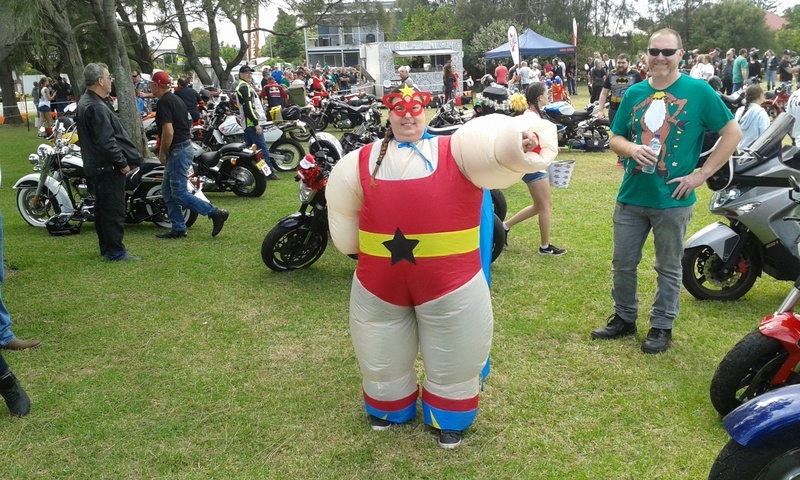 possibly the easiest meeting point is Hexham Maccas , where we met for the Blue Boxer. As I'm heading in early to position my Blue Boxer sign (which Big John has approved) I will be leaving Hexham at 8.00 to get into Stockton . 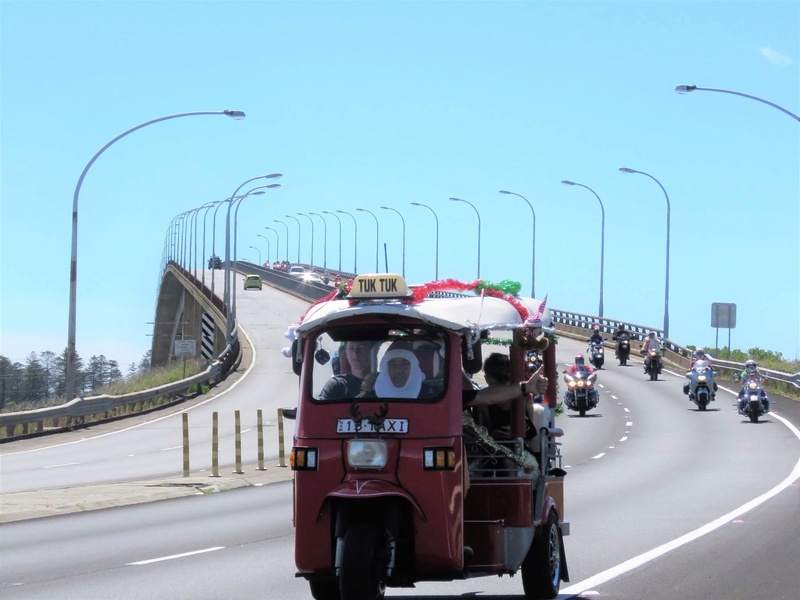 during the ride my intention is to stop at the entrance to the museum in honeysuckle , for a photo shoot, then stop again opposite Harrys Cafe de Wheels to hand out Kandy Kanes to the kids passing by . this will be the safest location to do this. 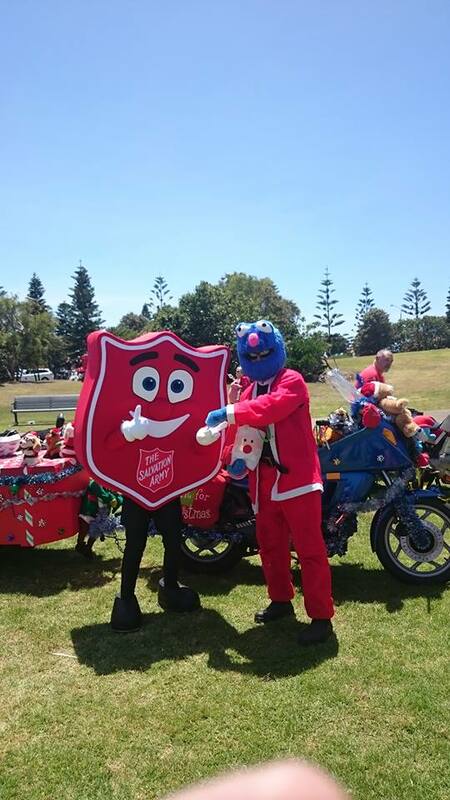 Oh what fun it is to be a Santas helper. The Newcastle Fun Run , is on the same morning and is a great chance to interact with passer by"s .
Weather is looking good for the day , yippeee. If I miss you before you get to Stockton , I should be parked alongside the BBQ trailer , run by the HPCA. enjoy the day Knuts . 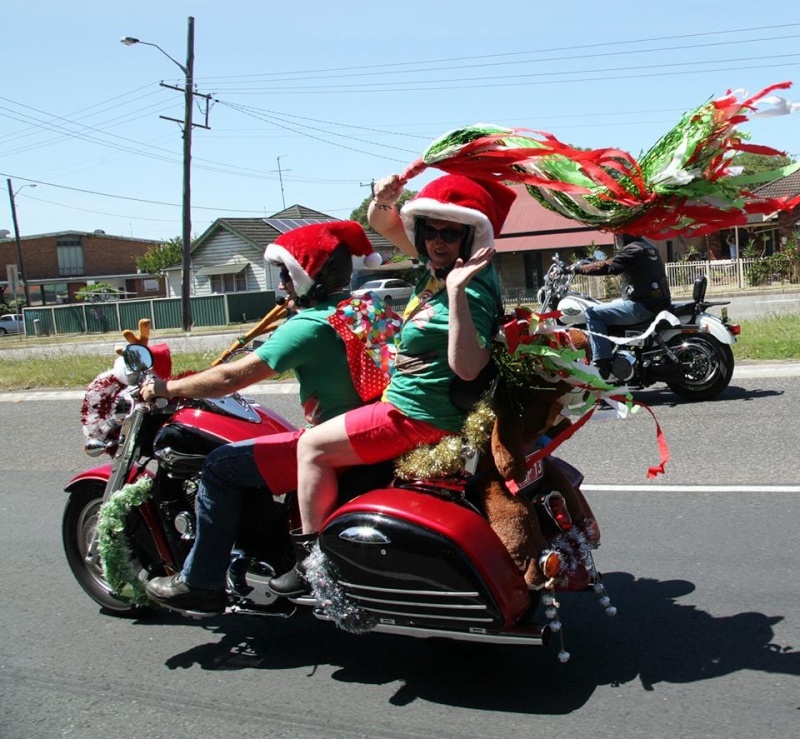 don't forget your tinsel. Thanks' for keeping us up to date with your plans Ed. I will be staying at Warrens at Toronto, and he wants to get away from there at around 700am. I'll be just going with the flow, and may catch up along the way. 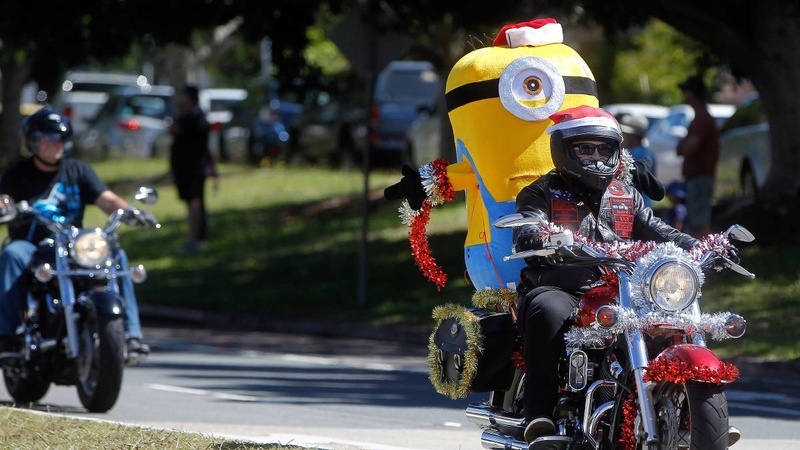 thats OK Nigel , I'm sure the spirit will find you wherever you may be this year , hope we can catch up at Gaz's Kristmas BBQ. Cheers to all forum folk this festive season. 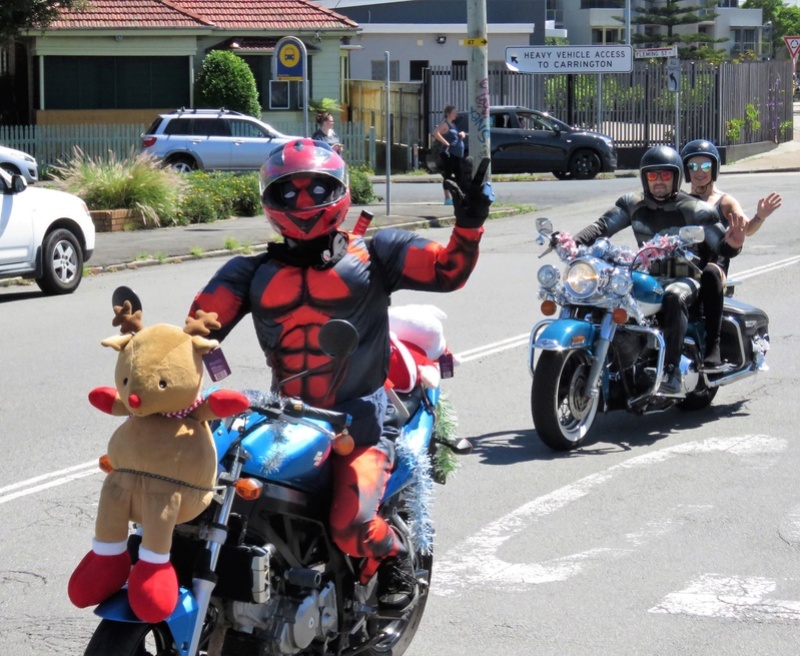 I hope everyone attending the Toy Run today is having a great time. You've got a great sunny day for it. a top morning out Keith . 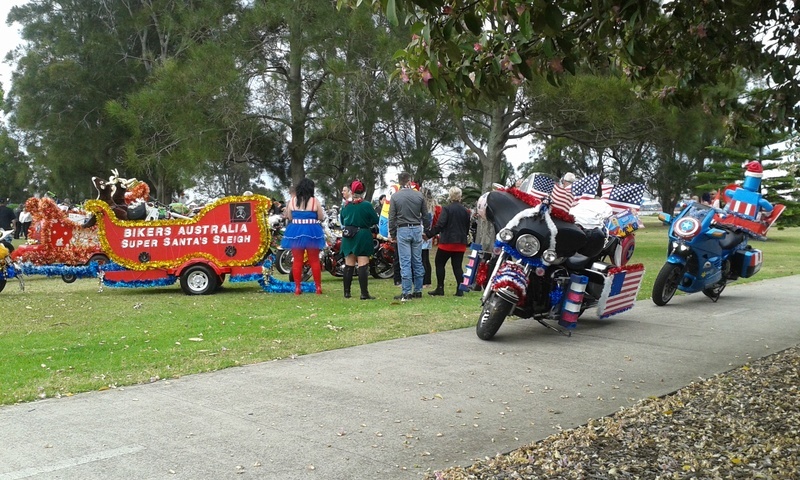 due to placement at the mustering at the toyrun , I missed catching up with Seanii , Kerry and the Hillbillies. caught brief glimpses of them during the ride . K's were well represented on the ride . 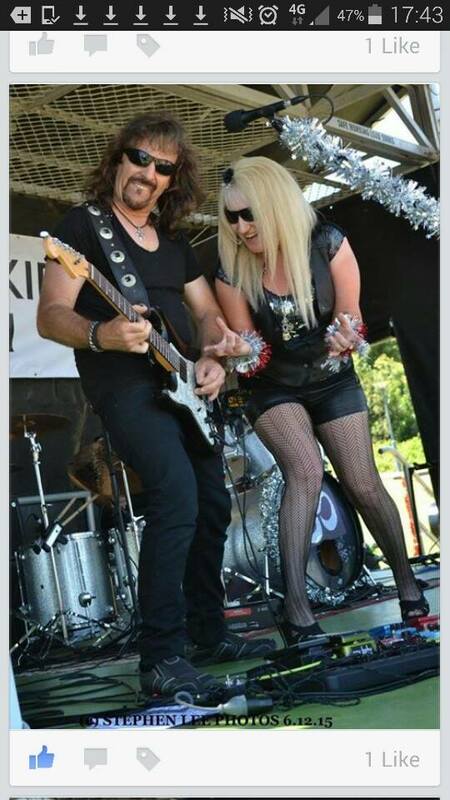 Still trying to upload , with my new Windows 10 ( hard to navigate ) software. but ended up parking next to a 85' Turbo RS , who like myself had the gift of the Blarney. 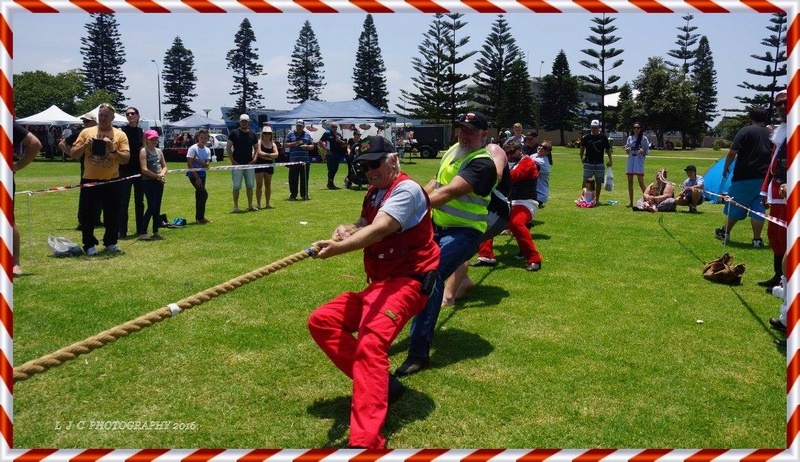 Then it was off to find Smithy , via the tug o' war , with some success against the so called pro's. much fun indeed. by the time I reached Smithy's location all to be found was a neat little one owner Blue 84' RS . 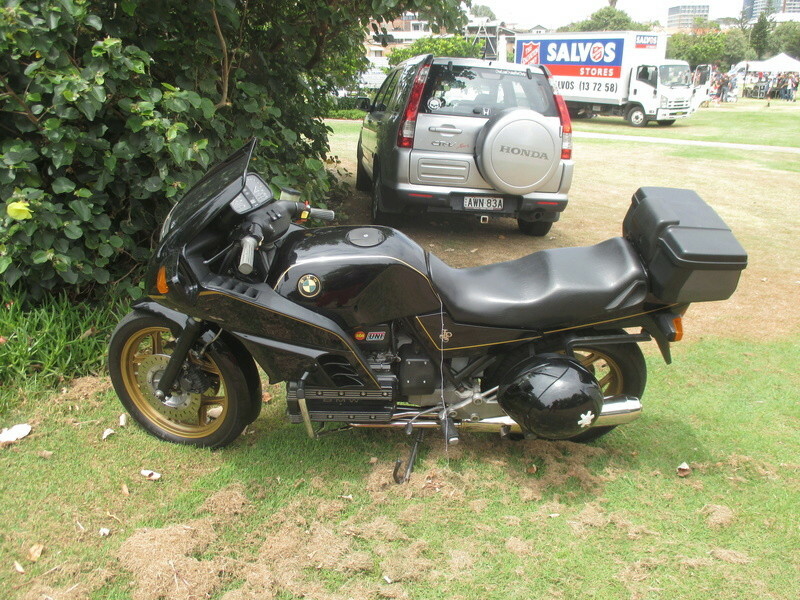 the owner stating he moved from NZ to Eleebana , failing to sell his K prior to shipping himself across , he brought it over with him . no regrets he says. amazing how 6 hours can disappear when you are enjoying yourself . top weekend on the K with fellow Krew .Hope everyone enjoyed the day. 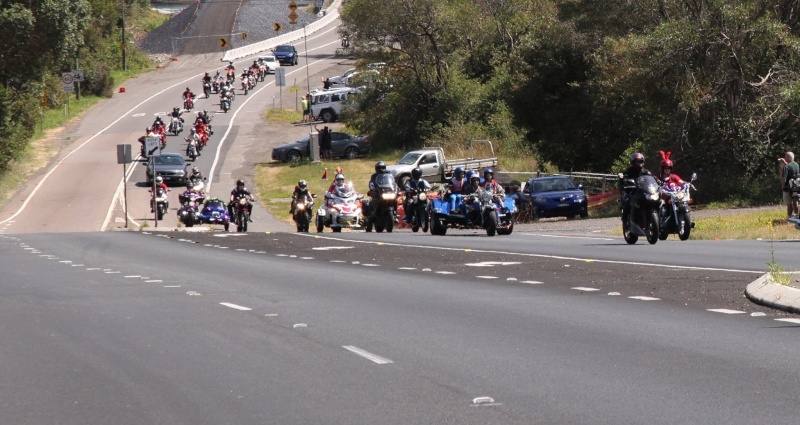 I got back to Guyra at about 8.00pm, I left not long after you saw me Ed, sorry I didn't wait around mate but I wanted to get back home before dark, as it was already after lunch by the time I left. Nicely done Ed looks like much fun was had by all. 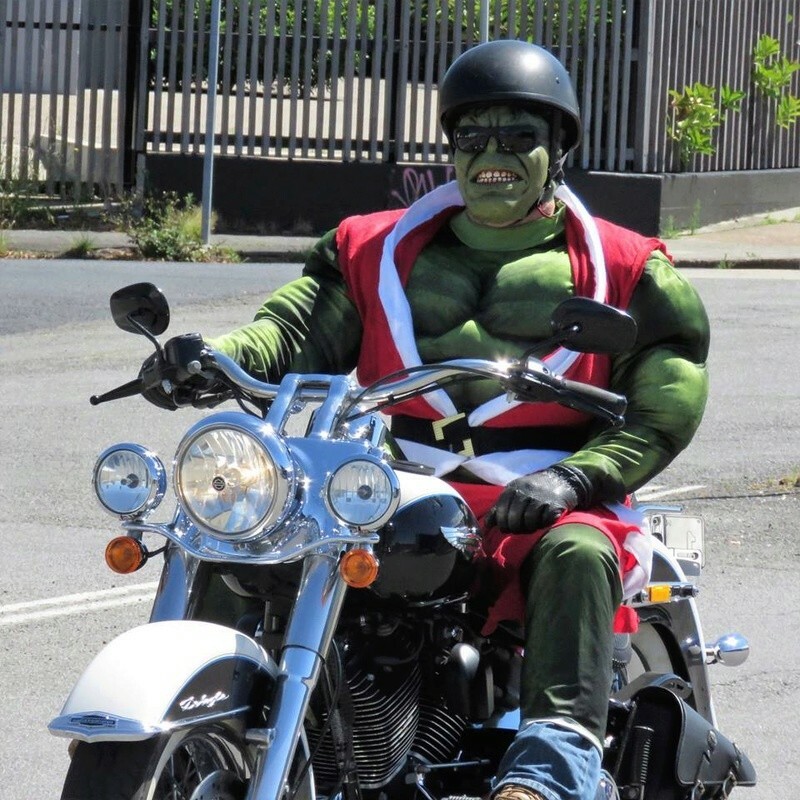 Good to see the Kristmas spirit is alive and Kicking down there. Certainly your weather looks considerably better than ours up here in wet and windy winter land. Thanks Paul , it was a great day , the kids along the way were very friendly . just found a Vid to share of the lead group , It was a priviledge to join the front runners , though missing the ride with other krew . 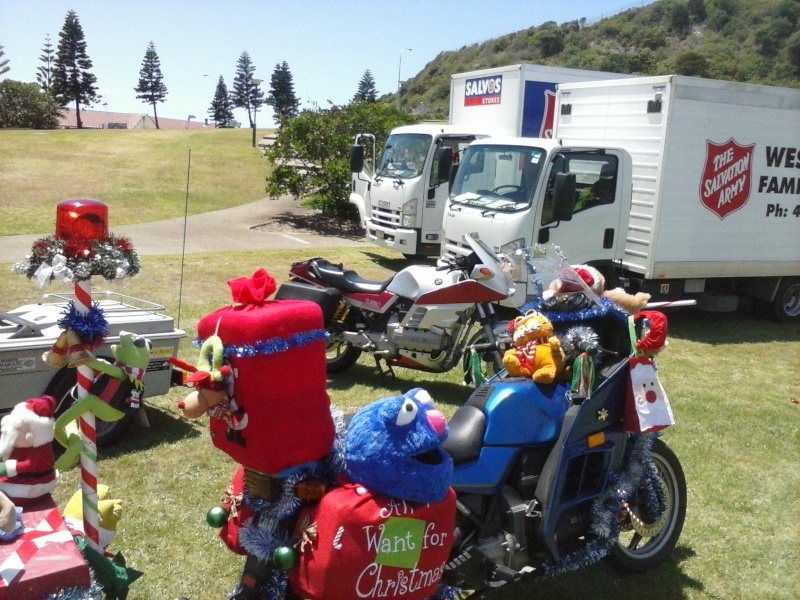 Grover on the Newcastle Toyrun 2015. ( at 00.45 sec ). Fantastic vid! Thanks for sharing - great sound track too. 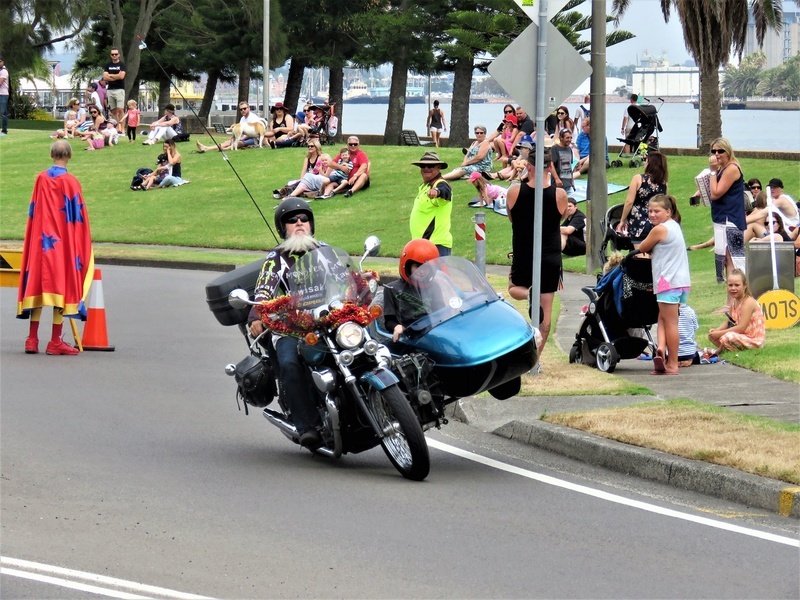 Had to watch it several times - there's some wacky rigs out there (interesting balance with the blue side car two bikes back from you and as for 4 up on a trike! = yikes!!). I wonder, could you actually see through the blue? 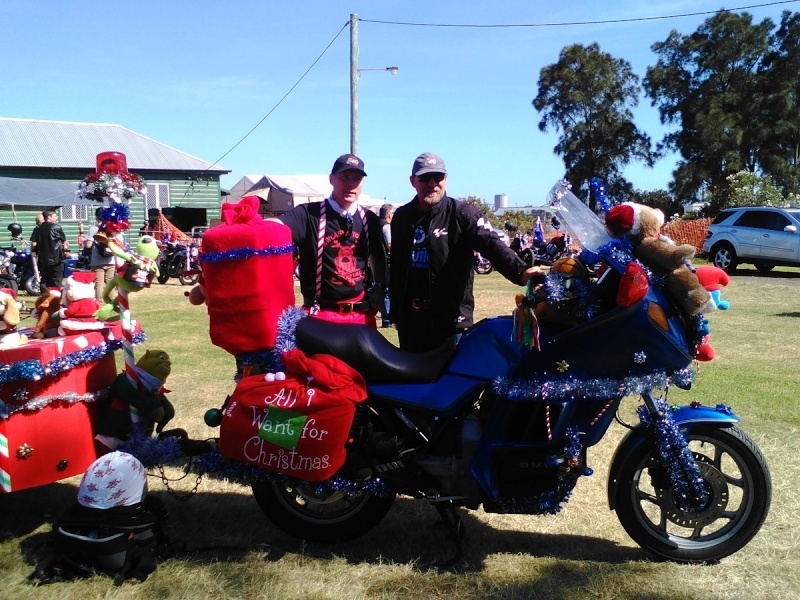 We took plenty of time stopping and sharing the Kristmas spirit with the local Hunter community. 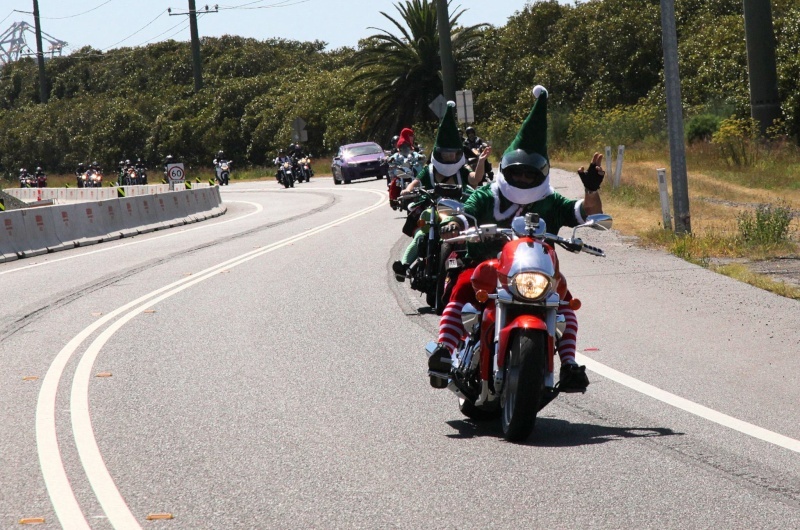 The Toy Run receives great support from many of the local residents . Kandy Kanes for all to share. thumbs up for Grover. 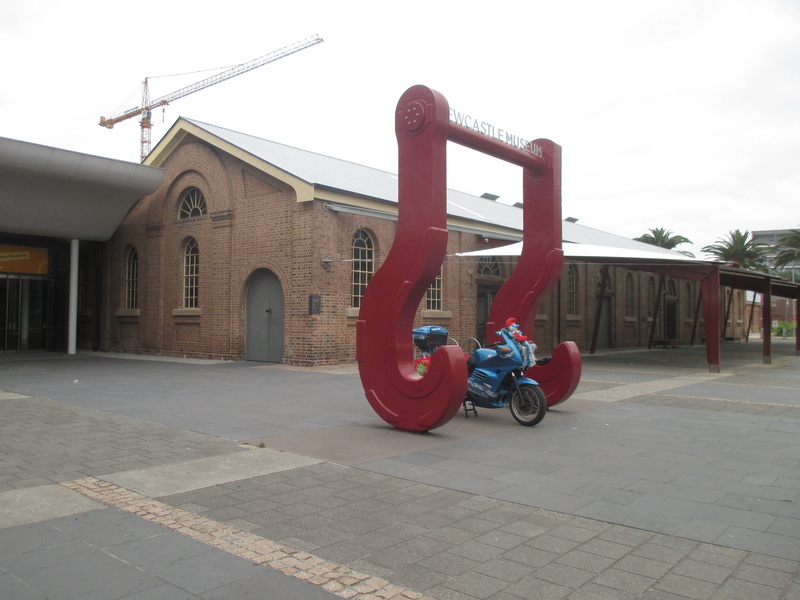 connecting up with some Fun Runners at the Newcastle Maritime Museum at the Honeysuckle Precinct. not leaving this guy out , cheers. 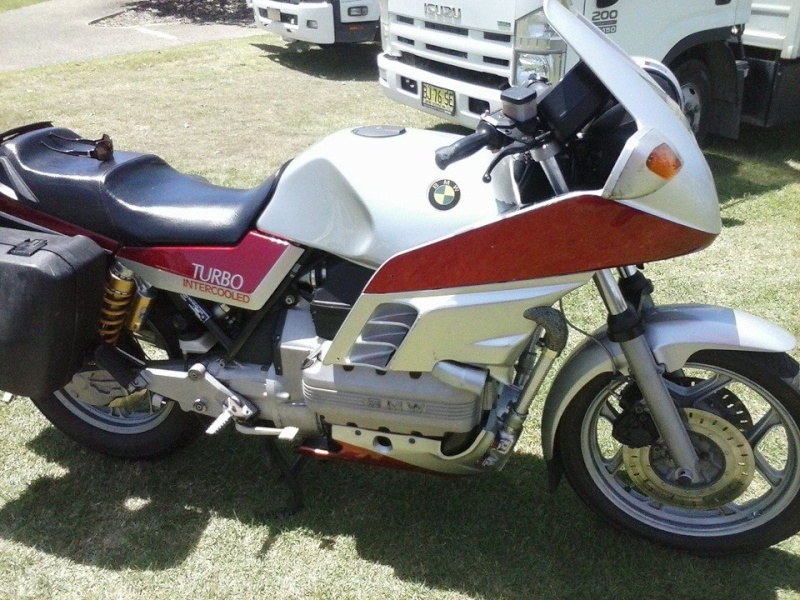 found this Turbo 85'RS when we arrived at the other end . the owner is very happy with the performance . With the Turbo and catalytic converter all neatly tucked away. The band on the day was Trataka , belting out a good sound . they snuck in a quick promo shoot when I wasn't looking . 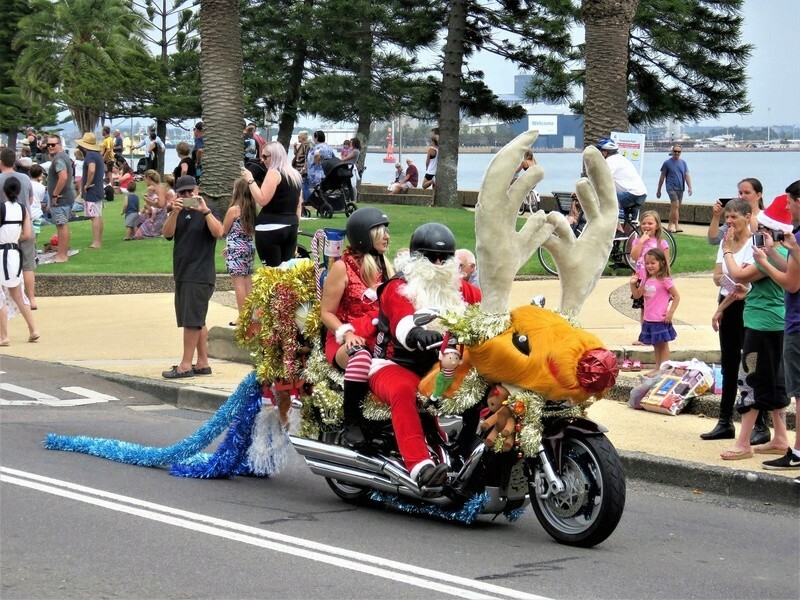 they seem to be enjoying the Kristmas experience. 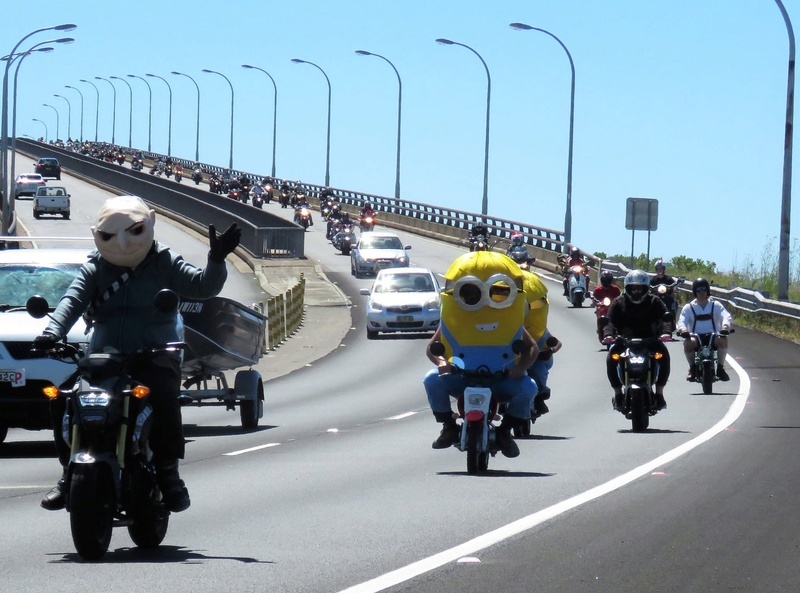 some of the crowd on the Newcastle Toyrun 2015, photography by John Rogers , taken from the back seat of my bike . 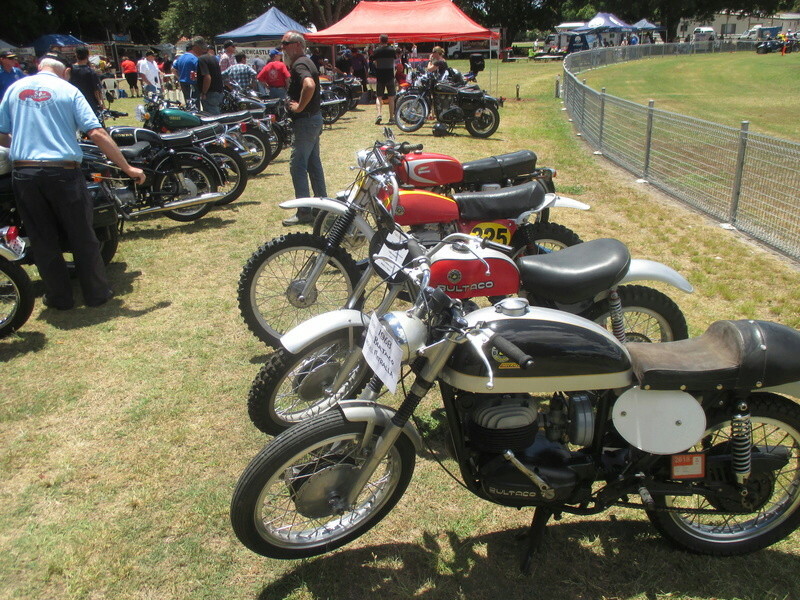 plenty of riders out for a fun day . Cheering. All in all a top day out , after an even greater night spent with Krew at Gaz's Xmas party. @Born Again Eccentric wrote: Fantastic vid! Thanks for sharing - great sound track too. I was watching the chair in the air in my mirror , trying to get the photographer to capture it , he threw it up a few times for the cameras. Strangely enough , i was thinking of a Blue Christmas , and then we have this Vid with Elvis . 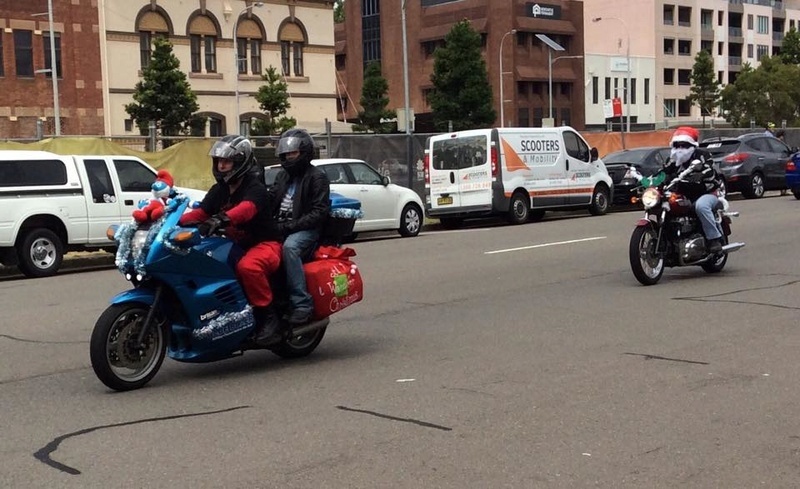 Another enjoyable Toyrun in Newcastle. 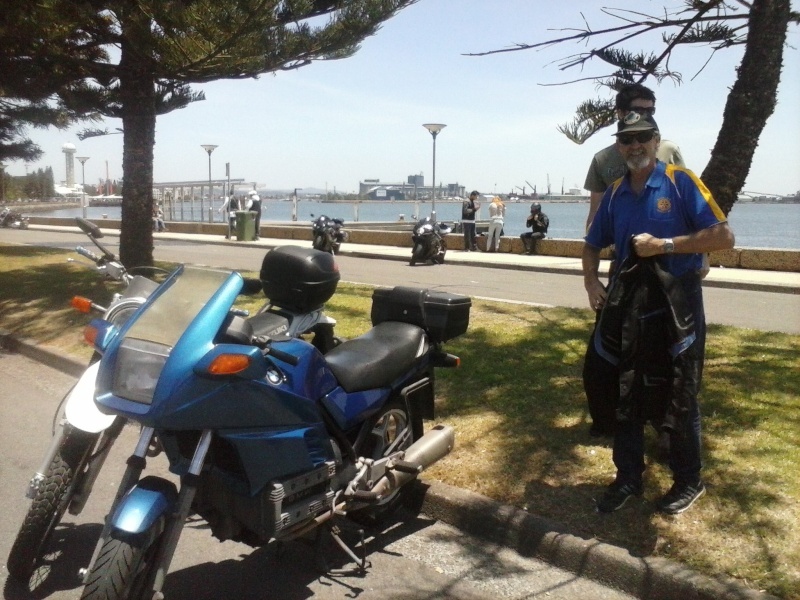 The day was welcomed with a slight cloud cover which helped keep the warm sun at bay during the ride . 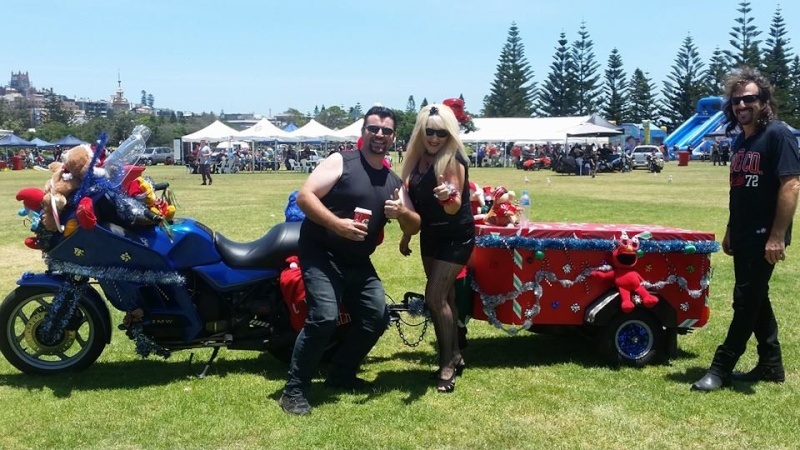 We headed off from Stockton at snails pace at 10am , this required the assistance of RossKKo's fan override switch, to keep Smurfette cool under the skirt. 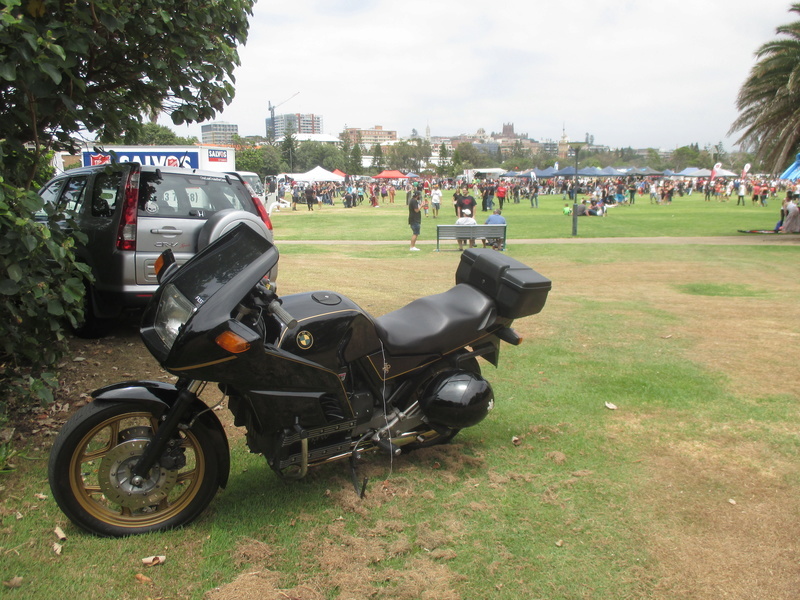 a somewhat comparison between the 110cc from Honda and the 1100RS. the midget is a 50. 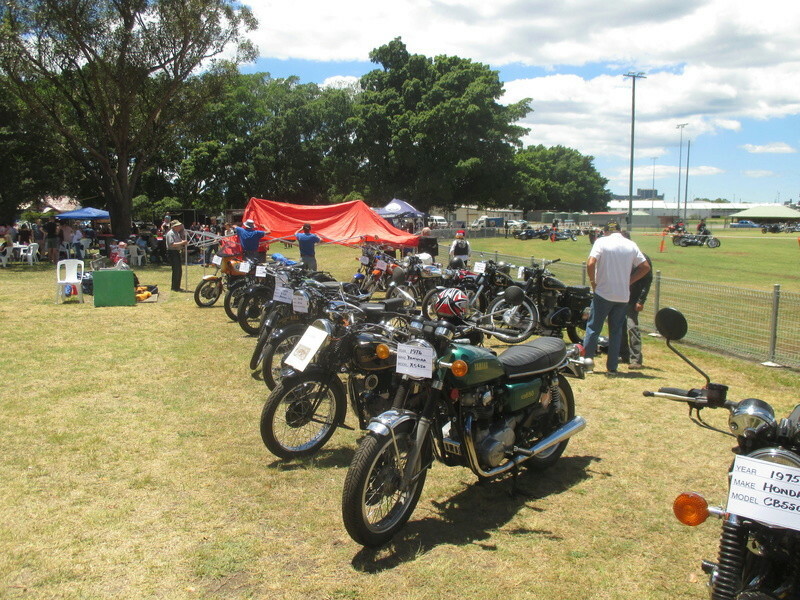 The local Vintage and Classic clubs putting on a display , including a K100 in this years event . Found this RS hiding in the bushes . JPS black and gold. 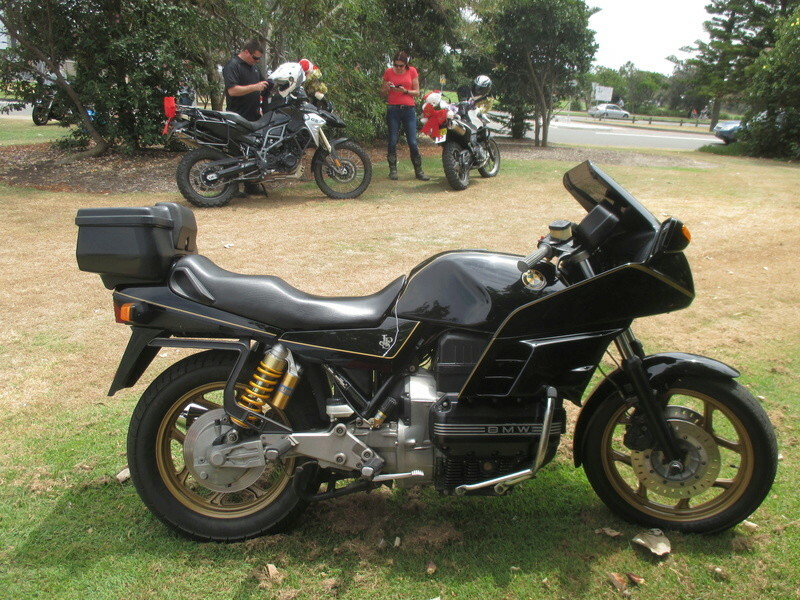 fitted with an Ohlins rear shock. 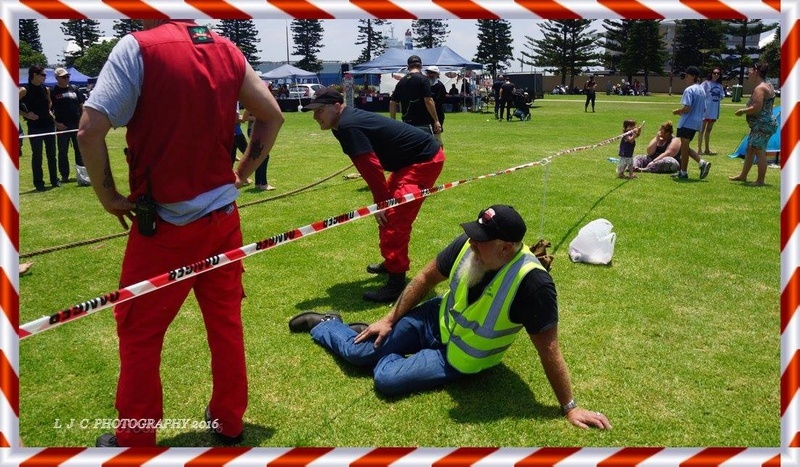 Once again the bikers contended the Tug o War with World champions . 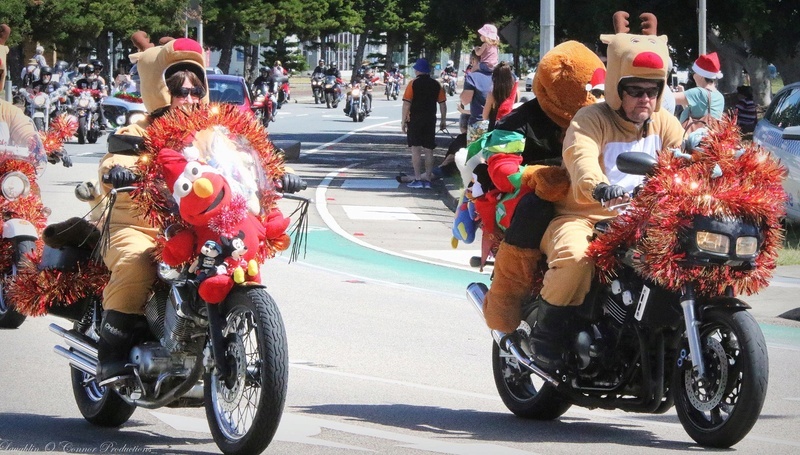 Round 1 - bikers , Round 2- ............ not us . 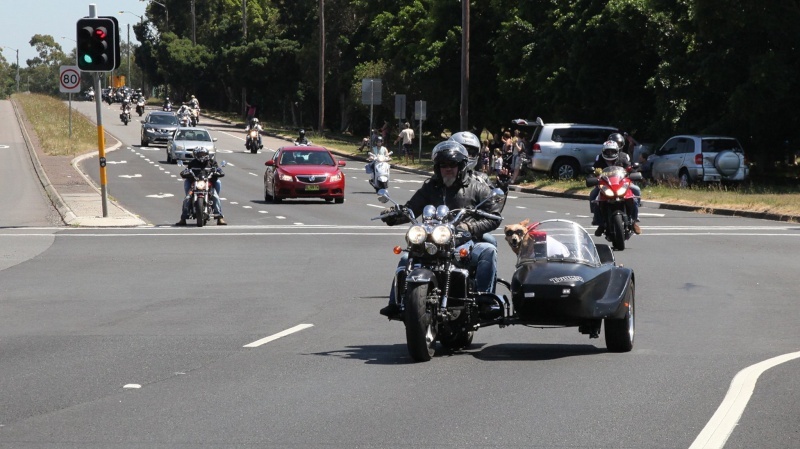 Sidecar antics as usual . 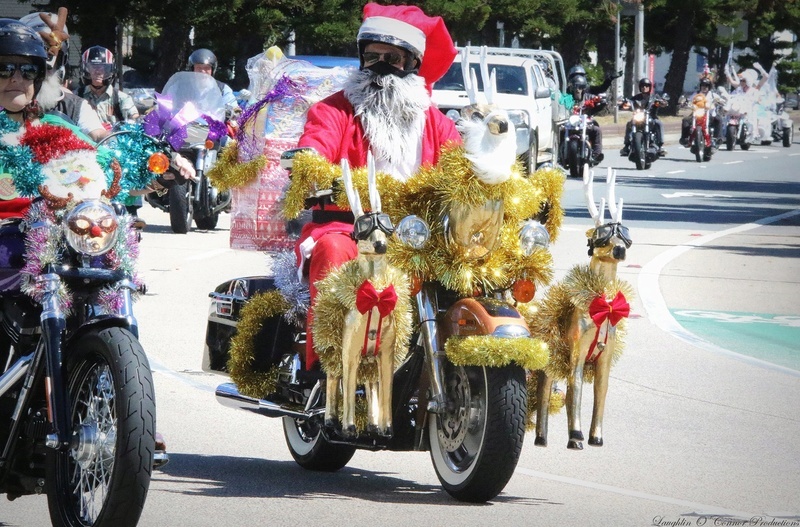 Bullwinkle took out best dressed in the Toyrun this year , well deserved. 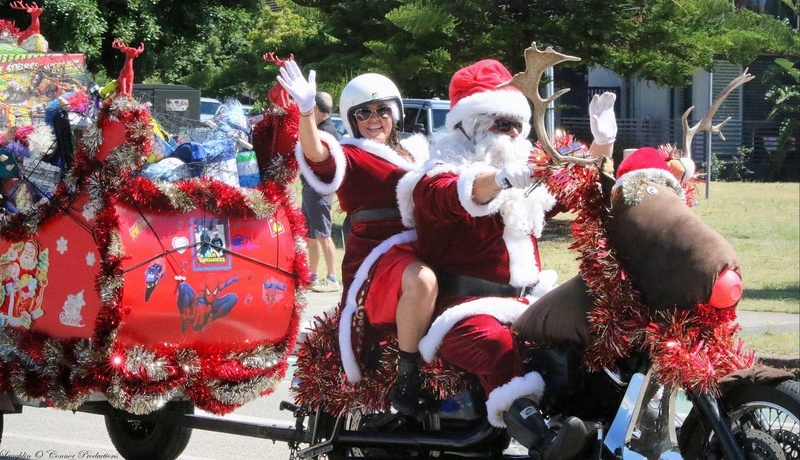 Merry Xmas to one and all for 2016 . 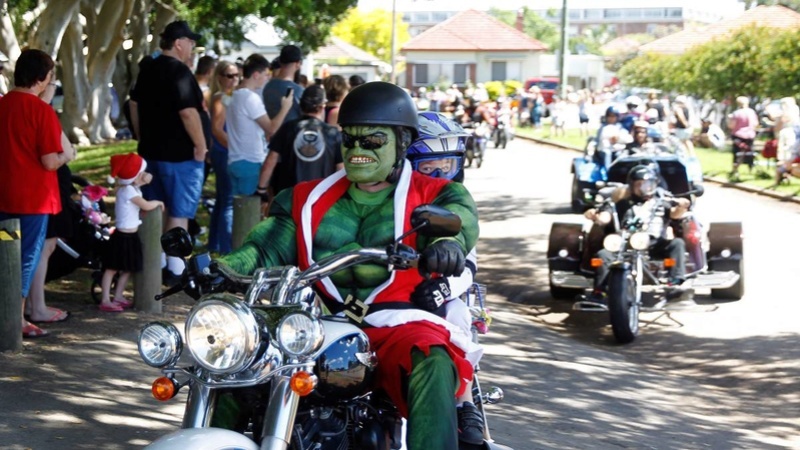 Next year marks the 40th year of the Newcastle Bikers for Kids Toyrun . 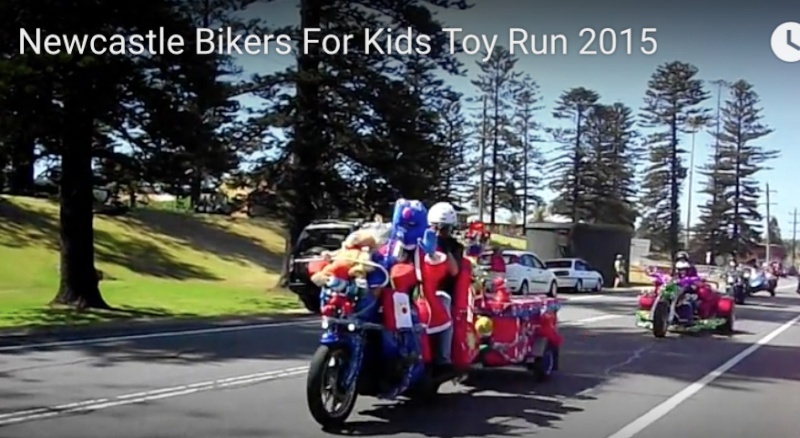 The Biggest and longest running toyrun in Australia. Kreative thoughts are in progress for a BRICK spectacle . 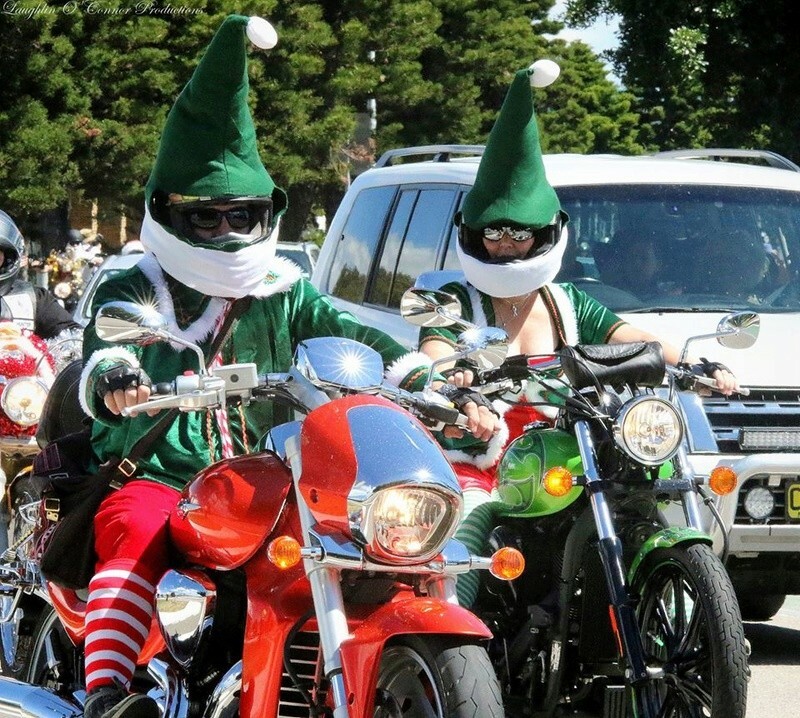 Well its that time of the year again , and the Toyrun in Newcastle is gearing up for a celebration this weekend , 40th Anniversary. 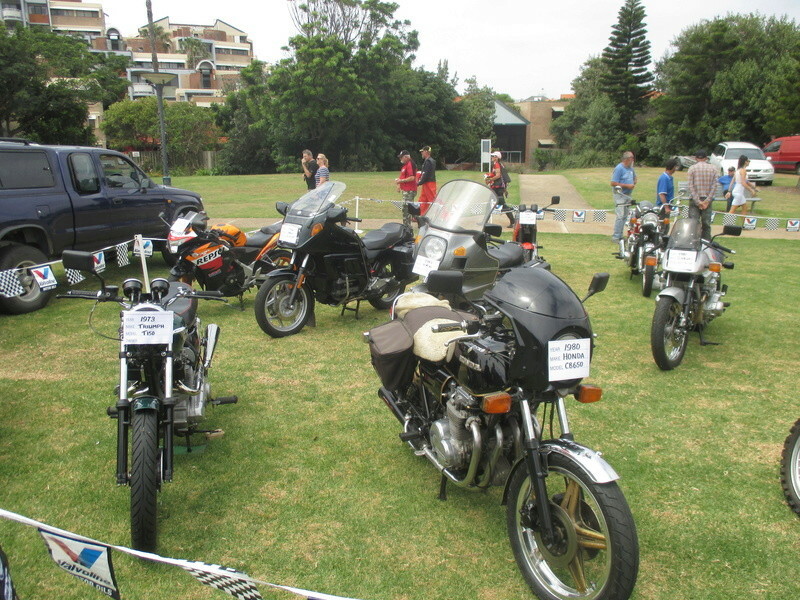 the ride will finish at Wickham Park . 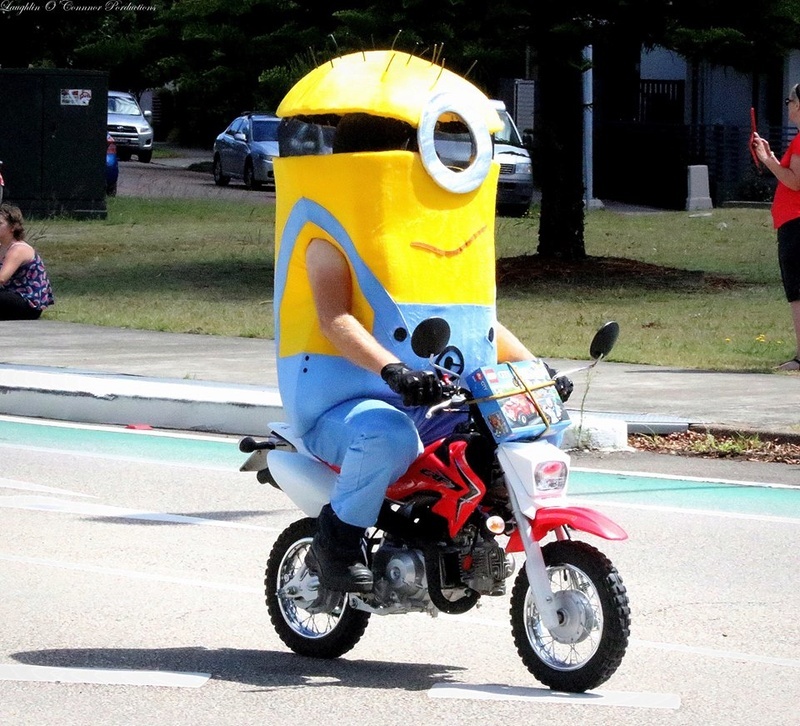 Thanks to Waz for his help in gathering up my new lid, we will be ready for the ride on Sunday .Hopefully might see other K's in the crowd on the day. 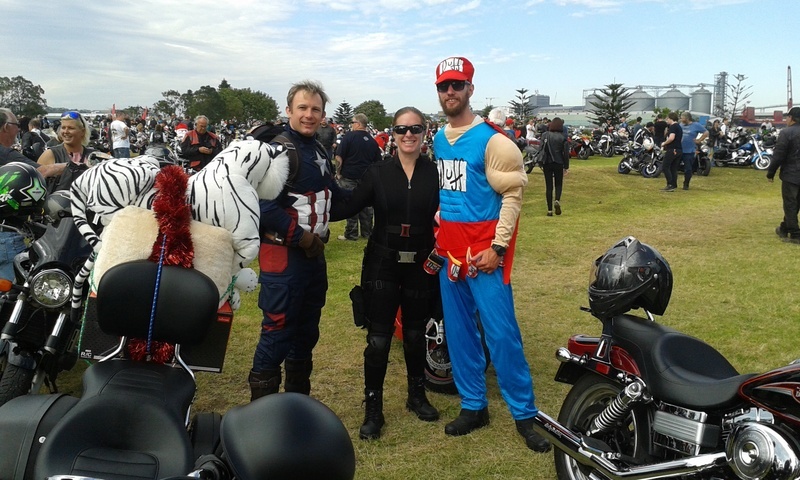 a few pics from yesterdays toy run in Newcastle. 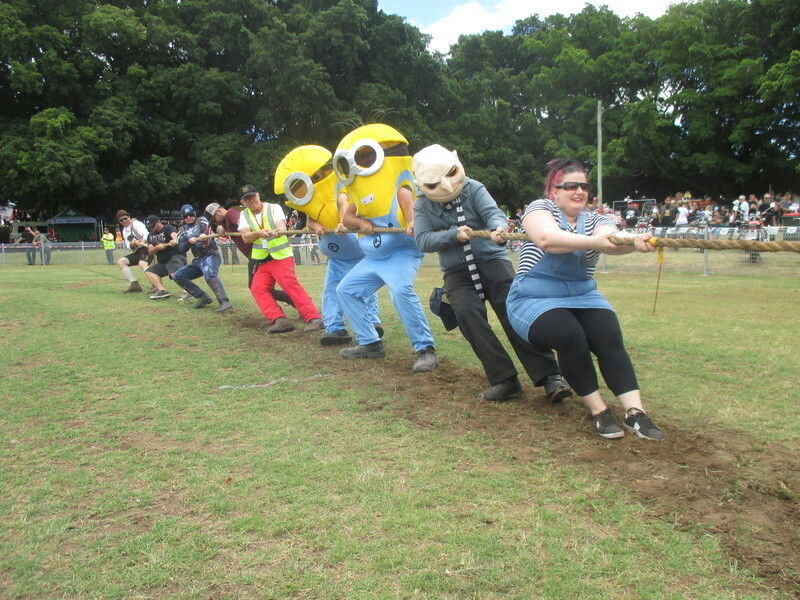 a strange crew taking out the tug o war . Smurfette . 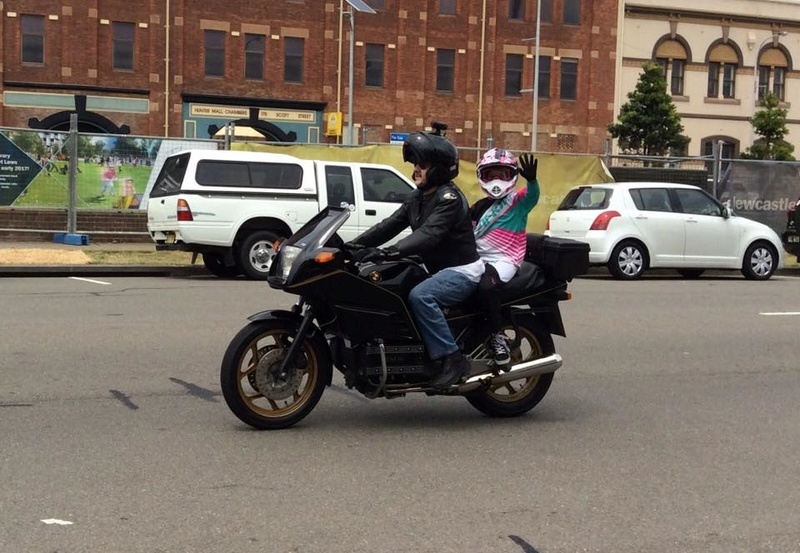 The helmet worked a treat. thanks Waz. 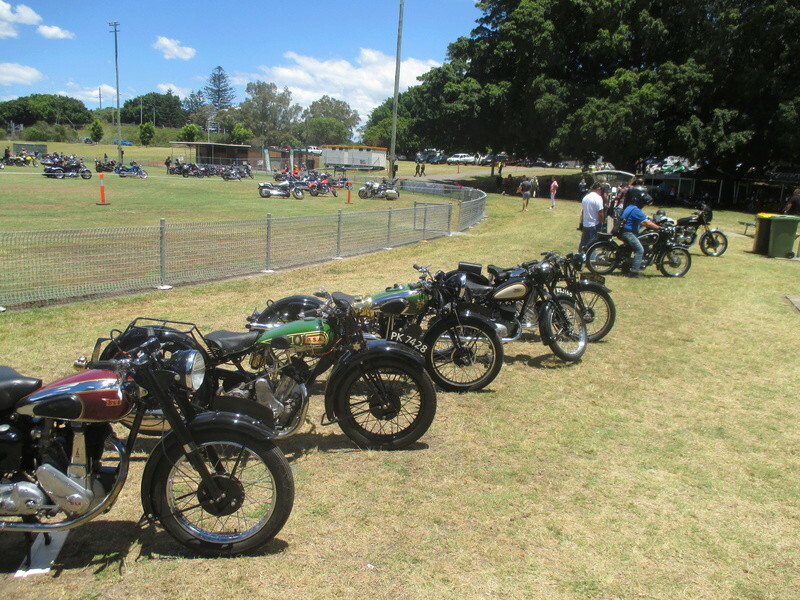 A good show of vintage bikes from the local club . 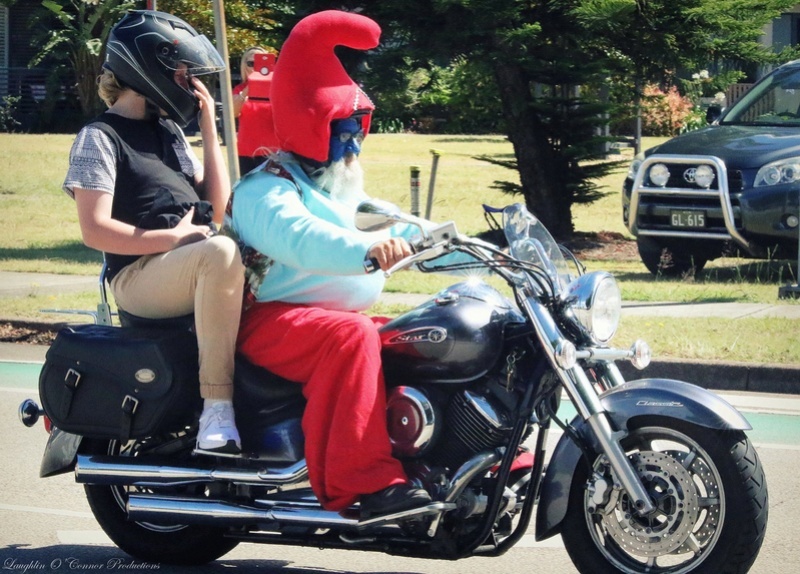 Captain Amerika and Smurfette caught on the run . 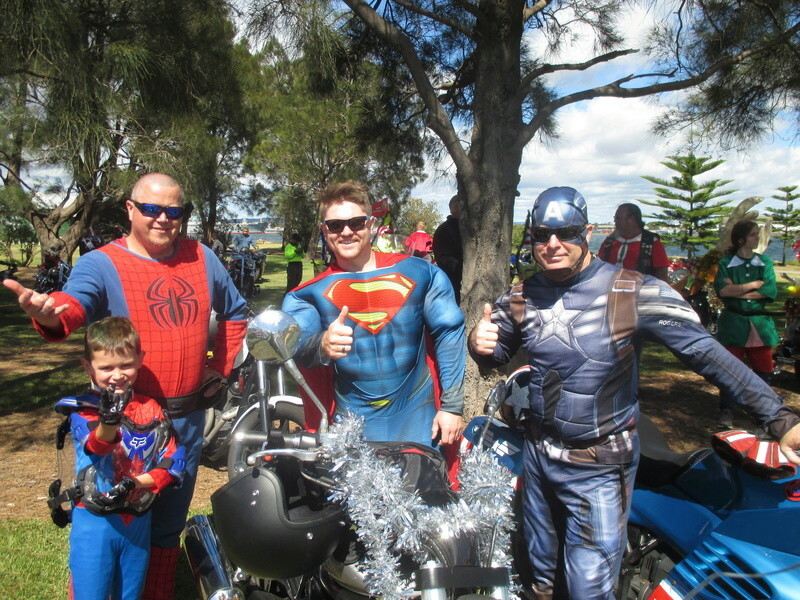 Joined by Spiderman and Superman . 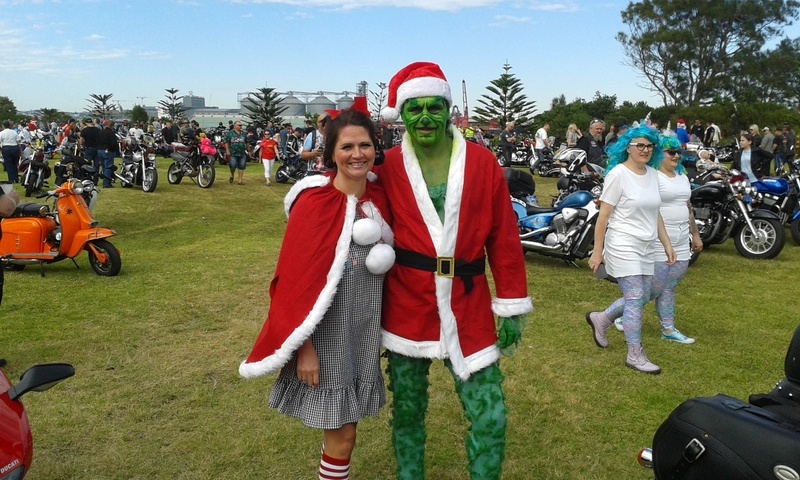 Many bikes this year, Ed? Not sure Sean , some estimates are suggesting that it was weaker than usual , surprising as it was their 40th Anniversary ride . 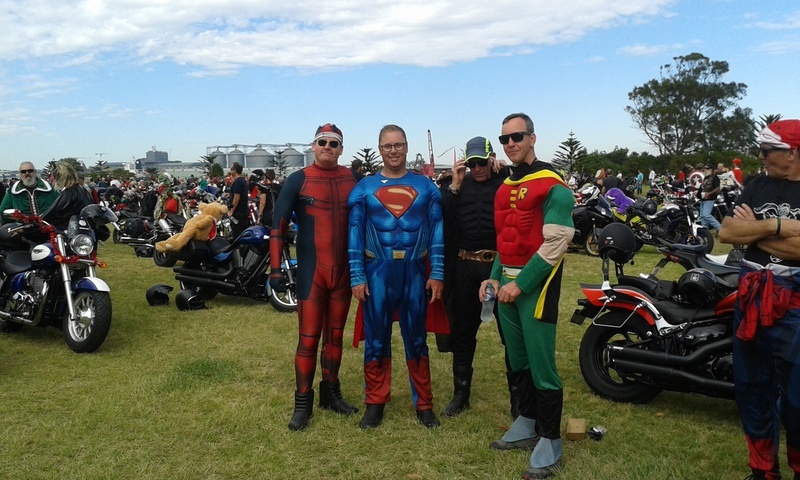 Not sure if the move away from the Newcastle foreshore as a finish line distrupted things a bit . The weather on the day was fantastic . 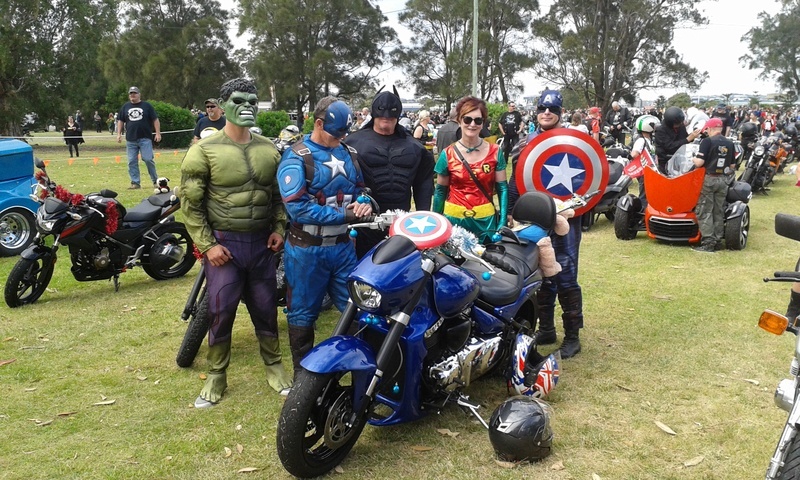 Had an awesome time at this years Newcastle Toyrun with the Superheroes theme . 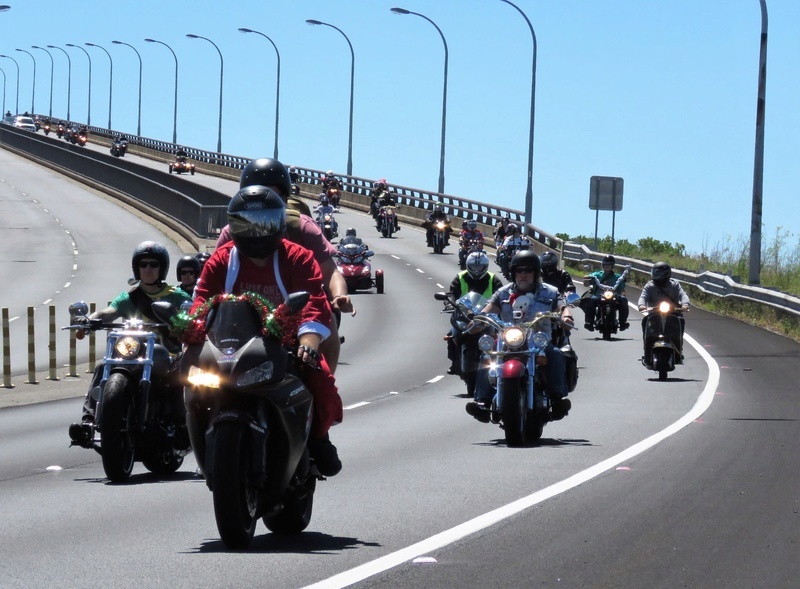 It was great to see so many riders getting on board to bring cheer to the local kids. 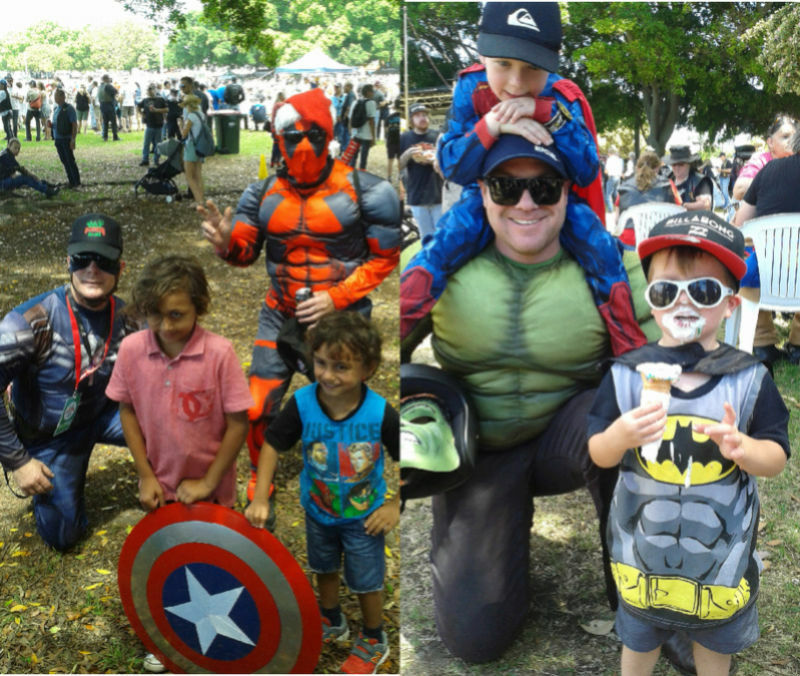 Just a few of the characters on the day . 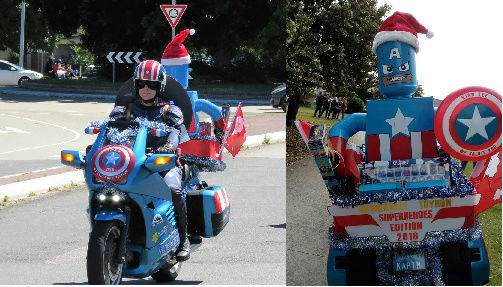 Kaptain America ( aka Smurfette ) , took out the best Superhero bike . 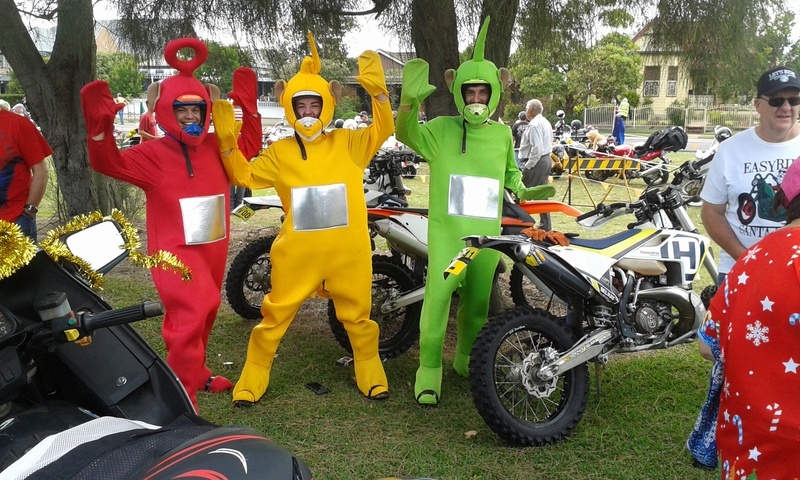 Heaps of fun with plenty of smiles to boot. left the mallet with Seanii. Took Kaptain LEGO with me instead . The kids loved him . 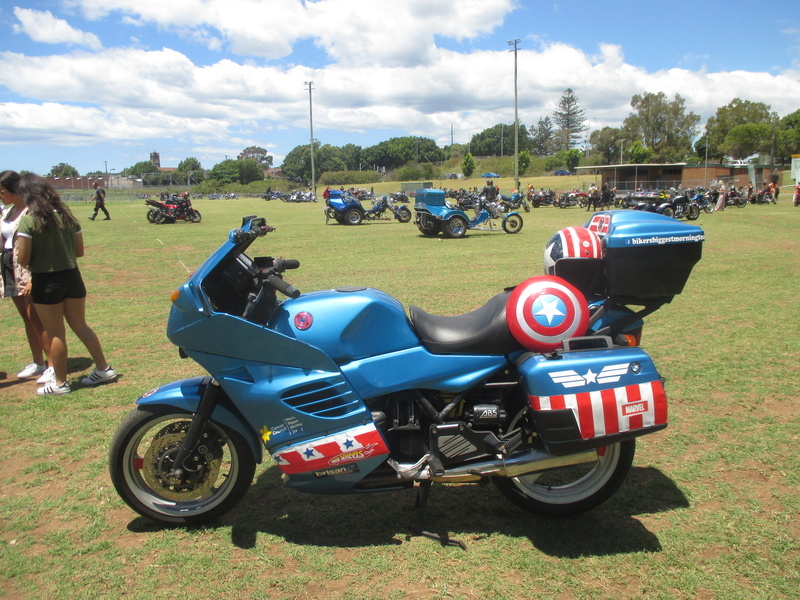 Yes, I need that mallet for sidecar " adjustments" and occasionally whacking my prosthetic knee.